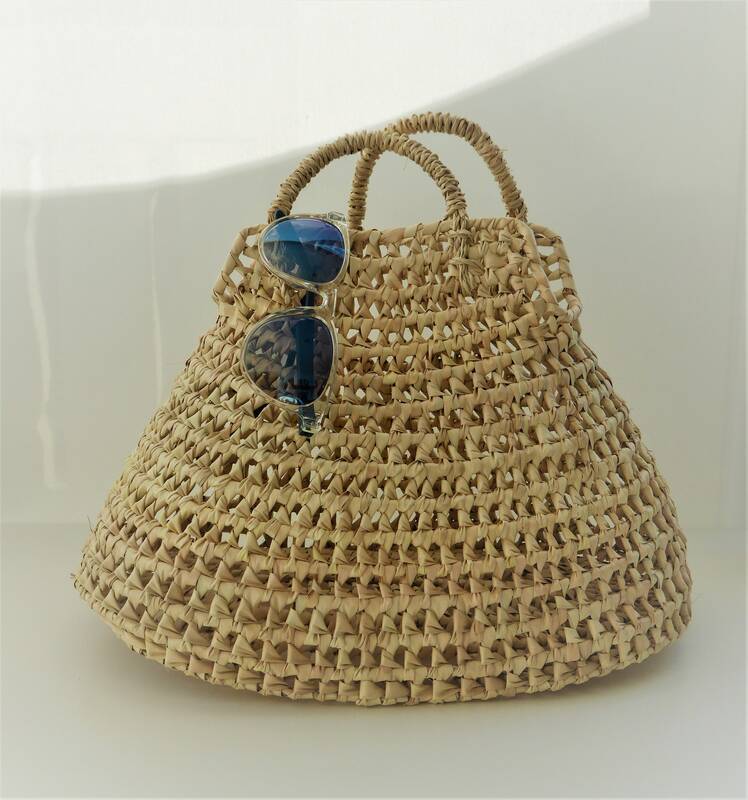 Spiralled portuguese basket bag, handwoven from palm leaf (38 cm x 24 cm x 24 cm). 2 short handles in cord, around 15 cm long. 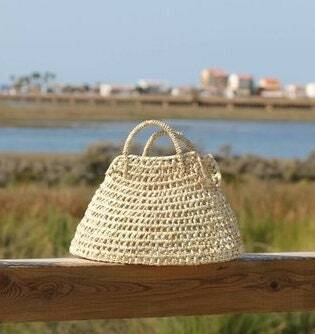 Handcrafted by local artisans in the north of Portugal, with traditional techniques. 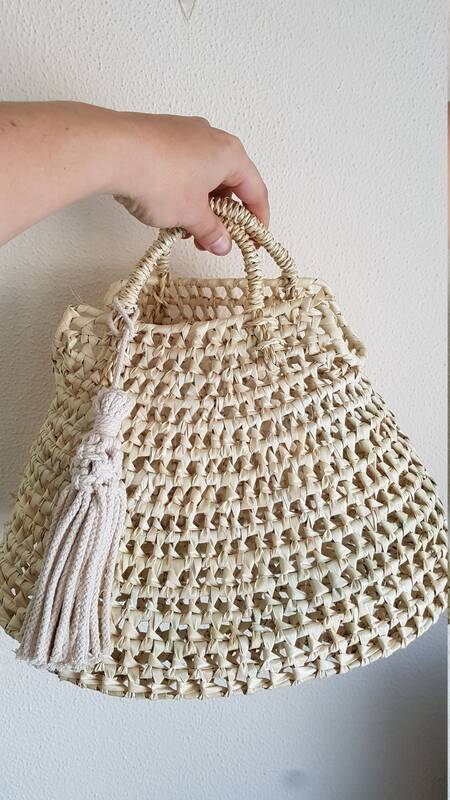 We support artisans and fair trade. Eco, natural, vegan. 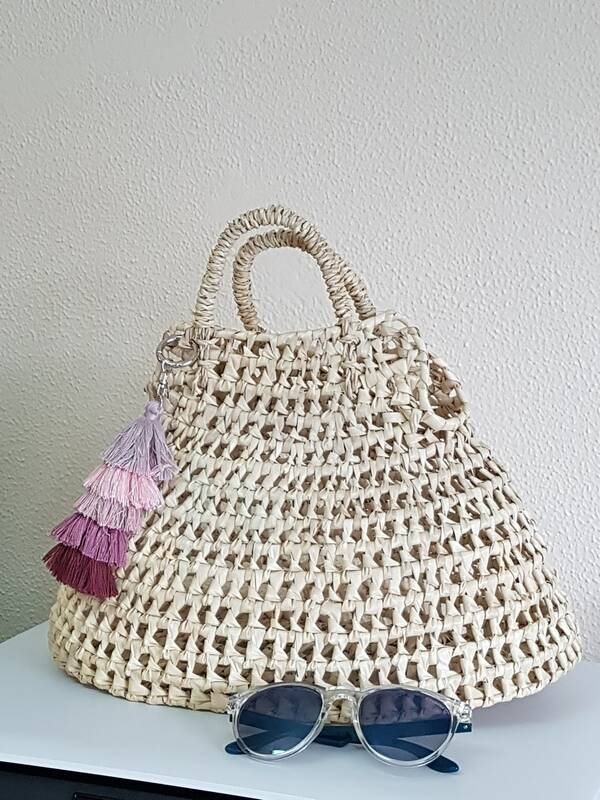 Beau sac, expédié à temps et très bien emballé!